As a member, you are a part of a business association whose mandate is to make our community a better place to live and do business. Your investment in the Chamber is an investment in our business community. Once you become a Chamber member, you have access to all the great benefits we have to offer including networking opportunities, exclusive event pricing, and cost-saving discounts from our affinity partners and members alike. You will also be listed in our online membership directory. 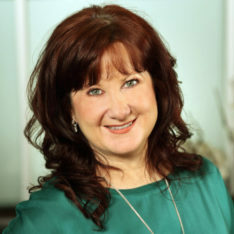 For more information or to request a meeting, please connect with our Sales Consultant, Barbi Holland. Please complete for form below and we'll follow up with you shortly to finalize your application. This Privacy Statement describes the information privacy practices for the Halifax Chamber of Commerce (HCC or Chamber), and how the HCC collects, uses and shares personal information. This Statement does not govern personal information about our employees, which is addressed by other HCC policies. HCC does not collect personal information about individuals except when such individuals specifically provide such information on a voluntary basis. Depending on what you request, such information may include your: email address, phone number, first name, last name, title, company, billing address, credit card number, expiry date and/or comments. The credit card number and expiry date are not retained unless required for monthly billing purposes, and are used for transaction processing only and thereafter are retained only as required for further transactions and to satisfy the legal obligations of HCC. When seeking certain products or services, you may be asked to create an account with HCC which account will utilize some or all of the personal information which you provide to us. HCC only collects personal information as necessary for the purposes for which you provide it to us and for the provision of HCC’s products and services in accordance with this Privacy Statement. g) Communicating with you in respect of HCC matters including applications for membership, invoicing and provision of receipts, e-mail newsletters, updates and surveys. f) To enforce the terms and conditions on the Chamber’s web site, or protect the rights, property, or safety of the HCC, our visitors or others, or to collect a debt from you. Your personal information is not otherwise disclosed beyond the HCC without your consent and is shared internally only when it is required as part of the performance of the duties of the individual seeking access. The HCC will use reasonable efforts to allow you to update or correct previously submitted personal information that you state to be erroneous. Upon your request (see our contacts below), the HCC will functionally delete your information from its databases, and you acknowledge that your member services may be affected accordingly. However, it may be impossible to delete your entry without some residual information because of backups and records of deletions. We retain your personal information as long as you remain a member of the HCC. If your membership ends, we may use and disclose your personal information as required and permitted by law, to conclude any outstanding matters relating to your membership with us, and to seek your input and advise you about products and services of HCC that may interest you. If you do not wish to receive any such further information, please contact us as indicated below. We also retain your personal information as necessary to satisfy any potential legal obligations we may have. The HCC is committed to protecting your personal information and has taken measures to avoid the loss, misuse and alteration of the information under our control. The appropriate physical, technical and administrative measures have been put into place to protect the quality and integrity of your personal information, and to keep information that is stored in our systems protected from unauthorized access. Where necessary, our systems are configured with data encryption or scrambling technologies, and an industry-standard firewall. When you send personal information to the Chamber over the Internet, your data is protected by Secure Socket Layer (SSL) technology to ensure safe transmission. However please note that there is no method of transmitting or storing data that is 100% secure. HCC reserves the right to modify this Privacy Statement at any time, and HCC will promptly include such modifications online. Your continued use of this site after any modifications are posted shall constitute your acceptance of all such modifications.